It’s the abandoned cellblock that visitors have been trying to sneak into for 20 years! Sometimes, history gets lost. And I don’t mean long ago, far away history like those places or events that are ancient, but the history of less than a hundred years ago right outside your own front door. If you’re looking to play a few rounds of mini-golf, you may be out of time. Once upon a time, getting from one place to another was much different than it is today. Taking one of NEPA’s most infamous locations to an international audience! Putting a new “spin” on a popular local historical location…. Abandoned bathroom or zoo ruin? Decide for yourself….. I consider this to be the strangest and most disturbing place that I’ve photographed to date. So what can be said when engaging in urban exploration exposes that you can’t even escape potential abandonment (and taxes) in death?…Apparently a lot! I also touch upon some theories about Urban Exploration itself. Exploring The Mines That Fed The Industrial Revolution…..”The Goonies”—NEPA Style! If someone was going to play you in a movie about your life, who would you want it to be? I usually do not leave remarks, however Cheri Sundra-Guerrilla Historian is one entertaining read! interesting keep writing and photographing. You decidedly put a new spin on local subjects that have been written about for years. Great stuff, just great! I enjoy reading a post that will make people think and appreciate our past. We want more! Great history in this valley that sometimes goes unseen thank you for taking the time to stop and share a part of the past. Any plans for a trip to Mountian Park on Wilkes-Barre Mountian not much left up there but still some remnants of what was once a there. I never know where I may end up….until I get there! 😉 It really depends upon whether or not I am able to find enough information about a location to write something about it…..I did look into this park while doing research about all of the local amusement parks, but was unable to locate anything new. But just like Croop’s Glen, you never know what information people have that they may send to me! So if anyone out there has information about Mountain Park—let me know! Great blog you have here! I seriously appreciate individuals like you! Take care!! I adore your site. Interesting way to look at the past. Hey there! I’ve been reading your blog for a while now and wanted to go ahead and give you a shout out from Boston! Just wanted to say keep up the good job! Genuinely good articles on this website. I appreciate your appreciation for local history and your contribution. Thank you. I enjoy “Guerrilla History”. You should be a history teacher. You definitely know how to keep a reader amused. Between your wit and your videos, I was almost moved to start my own blog (well, almost…HaHa!) Great job. I really loved what you had to say, and more than that, how you presented it. Too cool! Appreciated your postings of sites that were an integral part of my families life in NEPA. Has anyone like yourself documented what has happened to the many cemeteries that were left to the wilderness because of church closings, etc? Genealogists would like to know. Since I really don’t have more than a passing interest in genealogy, I am not very familiar with the local efforts going on in that arena. I do know that the historical societies do have some information about the local cemeteries and there are some resources available on the internet ….but other than that, it’s a topic that is unfamiliar to me personally. Sorry I don’t have an answer for you….Someone like Tom Mooney at the Times Leader would probably have information about that since he often writes about genealogy in his column. Or you could try the Shupp’s Cemetery group on Facebook….I think some of their members are doing something like that…. You can certainly see your expertise in the work you write. You go right for the heart! Have you ever considered publishing an book or guest authoring on other sites? Hi Melissa! I have done a little guest authoring in the past for blogs that are travel and fashion related. And I am putting together an ebook about one of the topics that I’ve covered on this blog, but I consider it to be strictly a promotional tool. Thanks for stopping by! ~Cheri. Are Rocky Glen and San Souci still there? Great school picnics there back in the 40s. Thanks for your interest in W-B, Hotel Sterling, and the mines,etc ! Sorry to say that both Rocky Glen (closed 1988) and Sans Souci Park (closed 1970) are gone….I actually attended high school on the former location of San Souci Park! You are welcome! I loved growing up in W-B and am interested in happenings there. I think you might like The Zorki Chronicles. 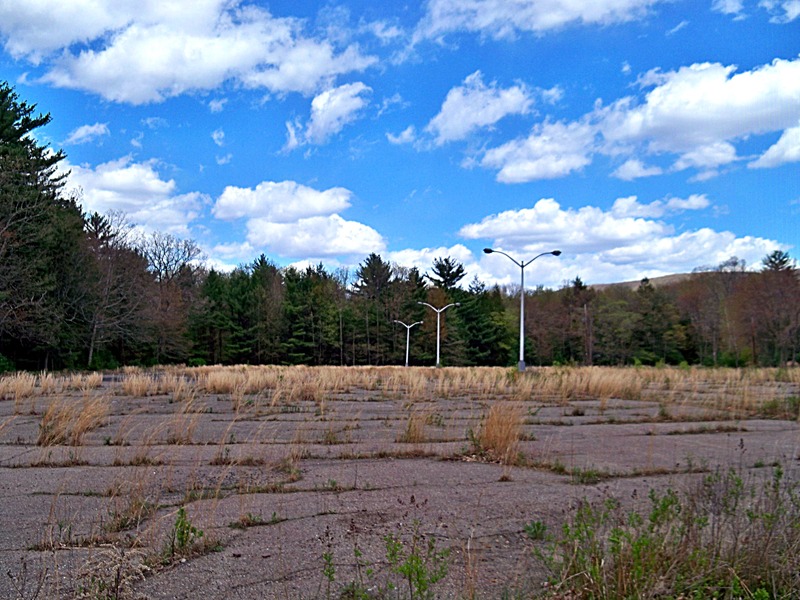 It takes place in the fictional town of Pocono Flats, PA, located near Centralia. Thank you Bill…I will definitely check that out! Haven’t seen you for a long time in Flickr. Hope you’re doing fine. Nice blog here and you’ve done wonderful jobs. I certainly love this website. Stick with it! I’m so glad I found this page! Just want to encourage you to keep up the good work. I haven’t seen an update in quite a while and hope you’re working on something spectacular. Hey there! Someone in my Facebook group shared this site with us. I’m definitely loving this approach to history! I don’t even know how I ended up here, but I thought this site was great. you aren’t already, Cheri. 😉 Cheers! Do you have anything on the Westmoreland Colliery from West Wyoming, Pa. It was situated on Fairview Street and dismantled in 1952. RIP Buckhill. I never got to explore you but wish I did. Do you know anything about Fanti’s Park? I used to go there with my family in the early 1960s, and the Pittston Gazette ran ads for it in the 30s and 40s. Alas, there does not appear to be any sign that the park ever existed. In my experience researching local lost parks, the majority of them – with the exception of Croop’s Glen, which turned out to be a lost, full functioning amusement park – the majority of them were more like Picnic Groves with things like pavilions with picnic tables and baseball diamonds. I’ll add Fanti’s to my list of things to watch for while doing research. I loved Fanti’s! We lived in Orange in the 1950s, and I was just a kid, but my father would drive there and we’d go into the ‘main building’ which was a small bar and adjacent restaurant with only spaghetti on the menu, made by the family matriarch. The bar sat about 16 people and there was a pinball machine near the windows, which looked out on the pond. A small collection of boats for rent was available just outside the front door of the place, and fishermen and women would take them out. There were always plenty of fisher-people there, it seemed, both on the shore and on the lake. A small row of tiny cottages was available for campers and renters off in the woods, about 300 feet away from the main building. Behind the bar and restaurant was a building called “the barn” which featured dancing on Saturday nights. I remember people doing the jitterbug there.. The whole place was charming, and popular. The last time I was there was in 1972. There had been intermittent problems with the pond being overtaken by algae in the 1960s, and family members had died or moved away, so they closed sometime around 1974. I have heard that a “Woodstock” type event even took place there before it was closed. Somebody briefly re-opened the place later, but it wasn’t for more than a few weeks. Do you have any information about Crystal Park? hello! I really like your writing very much! You are an exceptionally talented photographer and writer. I love your work. Please do one about Crystal Park!